Moonrise over the ancient city wall, Xi’an. Just a few things have changed in my life this year. New job. New city. New country. New life. 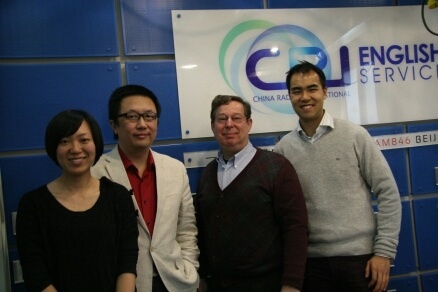 Teaching journalism in China. It’s almost as much of a challenge as practicing journalism in America. Here are some of the things that are “in” in my new life at Tsinghua University — and some of the old, familiar things I’ve left behind. 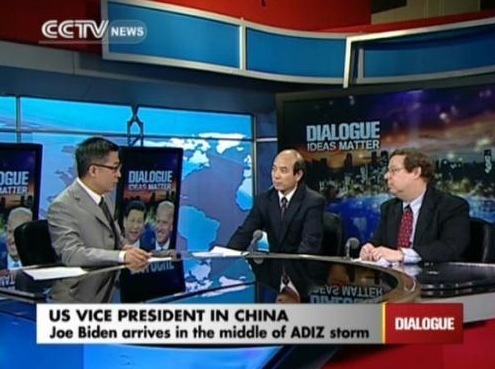 The dress code is a lot more casual — even for a China Radio International appearance. The Texas political landscape has been transformed in 2013. No, the state hasn’t gone from red to blue. But it’s gone from old to new. Began the year as a U.S. Senate newcomer. Ended the year as the leader of the national Tea Party movement. Began the year as an establishment Republican nervous about a 2014 Tea Party primary challenge. 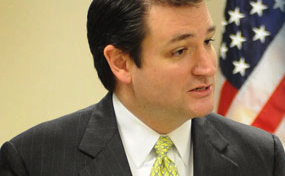 Ended the year with most leading conservative groups either on his side or on the sidelines. Began the year as a junior member of a minority party in the Texas Senate. Ended the year as a national figure and a ballyhooed Democratic candidate for governor. Began the year waiting for Rick Perry to decide what to do. Ended the year as a virtually unopposed Republican candidate for governor. Began the year as a House newcomer in the minority party. Ended the year as one of his party’s rising stars on Capitol Hill and a guest on Meet the Press. Oh, he got married, too. Began the year as a presidential longshot. Ended the year as a president longshot — and a lame duck governor. Began the year as the most powerful person in the Texas Senate. Ended the year fighting for his political life in a re-election battle against stalwart conservatives. Began the year trying to topple the university’s president and football coach. Ended the year an educational embarrassment and a political liability for the Texas Republican Party. Began the year as an off-the-wall right-wing congressman who talked about terror babies and presidential birth certificates. Ended the year looking downright boring compared to Steve Stockman. Began the year itching to end Fort Worth congressman Marc Veasey’s tenure after a single term. Ended the year on the sidelines as Veasey appears to be cruising to re-election. Appearance #7 on CCTV. I’m a big fan of the “Dialogue” program. My grandmother Naomi and I had a 4-decade-long debate over human nature. Having survived Stalin’s Russia, McCarthy’s America, the Depression and deprivation, she passionately insisted that people don’t change as they age, they only become more like they are (or were). I, on the other hand, a child of the Baby Boom who had evolved from the transistor radio to the smart phone, argued that people can grow or change, for better or for worse. Our dialogue did not end until Grandmom Naomi’s death three years ago just a few years shy of 100. I now want to claim victory — at least from personal experience — although I can still hear her arguing with me for being naive and idealistic. My first semester at Tsinghua University in Beijing has given me plenty of time to contemplate life. After all, I am living alone for the first time in 30 years in a campus apartment, the only English speaker in my building. I chucked my job at the Houston Chronicle for a great leap into the unknown in a country I had never visited. As I await my graduate students’ final multimedia journalism projects, I can reflect on how living in China has changed me. And it has. Mostly, I hope, for the better. The biggest change in me is that I have become more accepting of the vagaries of life. In China, you are either patient or you go mad. Internet, WiFi, hot water, heat, electricity: none can be taken for granted at any moment. If you are brave enough to travel on surface roads, you have to expect unexpected delays. You have to let go of the things you can’t control. That’s a big change for me. You also have to be decisive … or die. (As Joe Biden would say, “literally” die.) Bicyclists pedal every which way. Near misses with another bike … or a pedestrian … or a car … are everyday occurrences. If you don’t push your way out of the crowded subway car, you miss your stop. Don’t think. Act. All in all, I like that philosophy. I have learned so much from students in China. 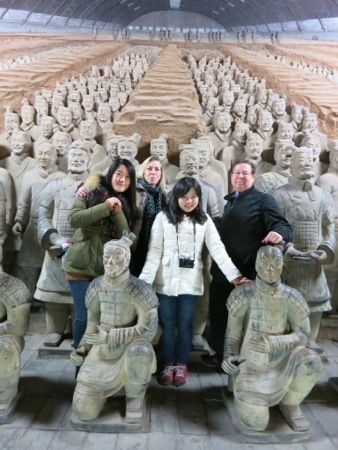 Here I am in Xi’an with Lu LAN and Jane Sasseen. My professional makeover — new occupation in a new land — also has allowed me to evolve into a different kind of leader. As president of the National Press Club and Washington bureau chief for the Houston Chronicle and Hearst Newspapers, I led by example and governed by consensus. That wasn’t always the formula for success — or effective management — I learned. Too many times, people mistook collegiality for weakness. 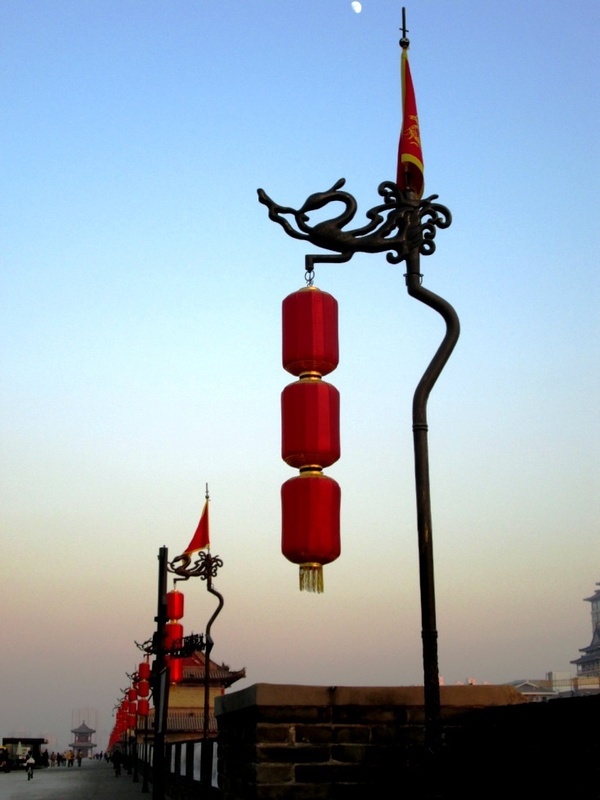 Starting over in China, I realized the importance of being a strong, focused, disciplined leader. No more “player-coach.” I hope I have earned the right to be an authority figure both from my knowledge of my subject and my post at the university. Whatever I do in years to come, my time at Tsinghua will have shaped me as a leader. I’ve also become much more of an environmentalist. Not in the sense of political activism. But in the sense of appreciating clean air, clean water and cooking oil that doesn’t make you sick. It’s a bit spooky to travel around your (new) hometown wearing an anti-particulate mask by 3M. It’s disconcerting to have a thin layer of toxic dust on your bicycle seat in the morning. This is what can happen to the world if we don’t do more to reduce carbon emissions and create green technology — now. And that brings me to my final thought about the future. My journalism students have made me even more optimistic about the future. After all, they are preparing to enter a business with an uncertain future in a nation where the future of journalism is quite uncertain. But they are some of the smartest young people I’ve ever worked with, and they have a breadth of knowledge and a drive to do well (and do good) that makes me think that they can change the world. They already have changed me.